It’s probably time for the DROID Bionic to start dropping in price now that the DROID RAZR is out and the DROID 4 is only weeks away from our hands. You can now pick up the phone for $199 on 2-year contract, $100 less than it debuted at back in September. On a related note, the XOOM dropped to $199 for the holiday weekend, but we are pretty sure that price is going to stick until they can sell out of them. 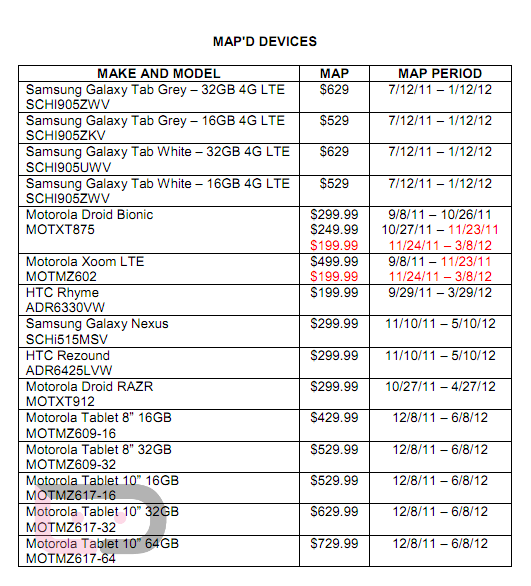 With the XOOM 2 also on the way – December 8 a possibility – they need to make room. And there is the Galaxy Nexus listed again at $299.